Umm yeh... 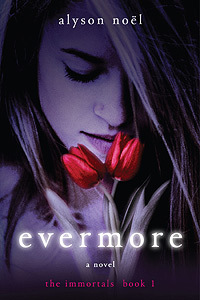 The same picture has been used for the covers of Evermore- Alyson Noel, North of Beautiful- Justina Chen Headley AND Selina Penaluna- Jan Page! 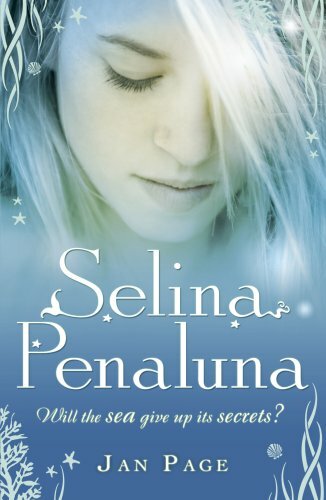 Dropped as a baby into a deep pool on the Cornish shore, Selina Penaluna emerges a different child - a mermaid changeling - and is forever drawn to the sea. Abandoned by her mother, neglected and abused by her father, she desperately wants to escape her lonely life. Ellen and Jack are twins, evacuated from East London to Cornwall at the start of the war. The family that takes them in are well - off and a little stuffy. Ellen relishes this opportunity to better herself, but Jack finds his new life stifling and seeks freedom in the arms of Selina, the mysterious fisherman's daughter whose wild beauty turns every man's head. Selina's siren song has Jack captivated - but leaves his sister cold with jealousy. Can the young lovers find solace and build a new life together? And how will Ellen deal with being left behind? It’s hard not to notice Terra Cooper. She’s tall, blond, and has an enviable body. But with one turn of her cheek, all people notice is her unmistakably “flawed” face. Terra secretly plans to leave her small, stifling town in the Northwest and escape to an East Coast college, but gets pushed off-course by her controlling father. When an unexpected collision puts Terra directly in Jacob’s path, the handsome but quirky Goth boy immediately challenges her assumptions about herself and her life, and she is forced in yet another direction. With her carefully laid plans disrupted, will Terra be able to find he true path? For good . . . For evil . . .
Sixteen-year-old Ever Bloom is the sole survivor of a car accident that killed her family. Exiled to sunny California, Ever is haunted by her little sister and by the ability to see people's auras, hear their thoughts and know their entire life story by touching them. She wants to hide from the world, but when a stunningly handsome new guy arrives at school, she can't seem to keep away. Falling in love with Damen is dangerous - he's not what he seems. But if Damen is her destiny, how can Ever walk away? Oh, haha! I hadn't notice that! Thanks. And no, you wouldn't really think that this sort of thing would happen! !